As I reflect on how change happens in development, 5 themes come to mind. I wrote about moments yesterday. Today I will discuss the second one: muddling matters. What I mean is that developing countries need to muddle through if they want to improve governance; there are no quick answers to the complex challenge of governance reform. However, I don’t mean that countries should be muddled. Muddling through–or purposive muddling as I like to call it–is an active, intentional and focused process that helps countries find and fit solutions that work in their context. I also don’t mean to say that muddling ‘should’ be part of a successful reform process. My research shows that muddling ‘is’ part of successful reform. There is ample evidence that successful change comes about through experimentation with multiple reform options, with an emphasis on solving problems, and a whole lot of iteration and learning. I’ve written a few papers in this regard and will continue to write more. 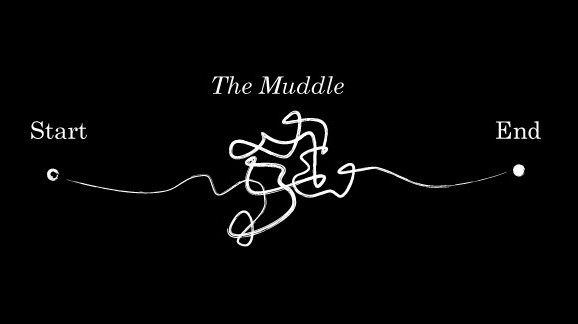 Many people in the development community tell me that they agree with the idea of muddling (conceptually), but don’t see how it can be done in developing countries or in governments where politicians are looking for solutions and want the solutions ‘yesterday.’ I keep telling these people, that purposive muddling is common, and necessary, and instead of saying ‘it isn’t possible’ we should be exploring the strategies others have adopted to make it possible (and to make it part of the DNA of some organizations).